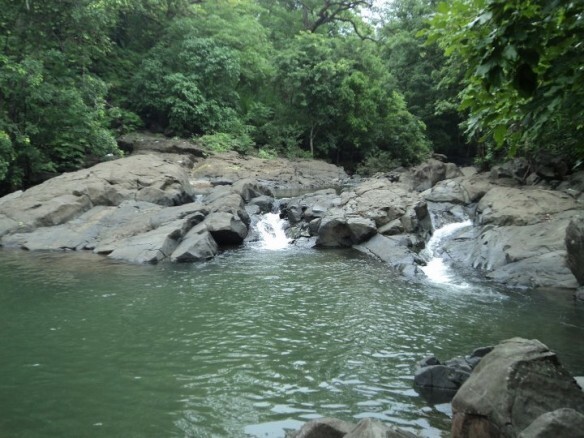 Tungareshwar, a lush green belt located at Vasai East near Mumbai city has a beautiful temple of Lord Shiva and scenic waterfalls. 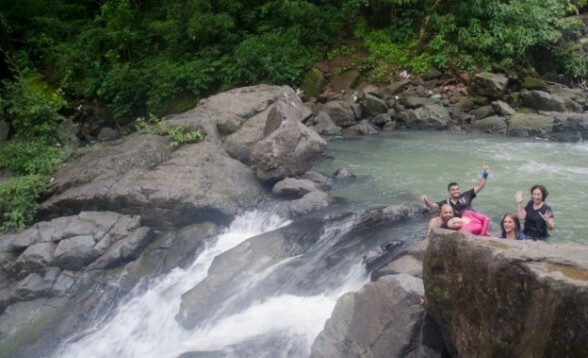 This thickly wooded picnic spot offers many opportunities to trekkers, mountaineers and nature lovers. 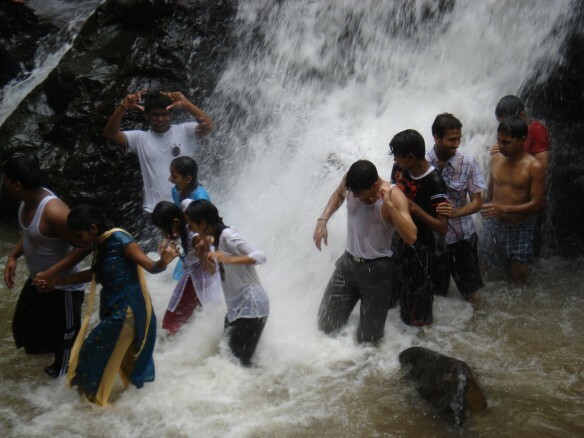 Also known as Chinchoti waterfalls, the best time to visit Tungareshwar waterfalls is during the monsoons or just after monsoon. 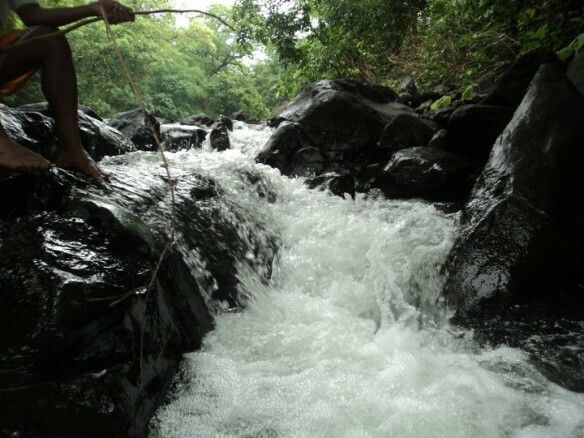 There are 2 river streams, which you need to cross and few waterfalls on the way which u can enjoy while reaching the main falls. 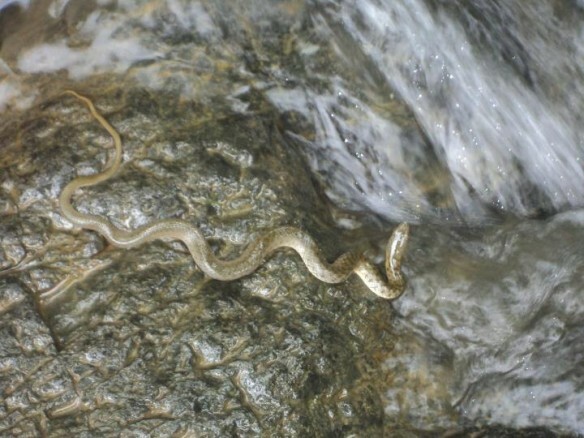 Both streams have cold water crystal clear and fresh which has rounded white stones and few pebbles around the muddy corners on either sides. It also provides a nice trekking experience as its a up hill climb through lush greenary on both the sides of the muddy road. The place is spread widely and there is plenty to explore. Make sure you take safety precautions since flash floods are common during rainy season. A beautiful place for photography with birds, reptiles and insects in green all around enjoying the same nature and waterfalls as we humans do in the woods. 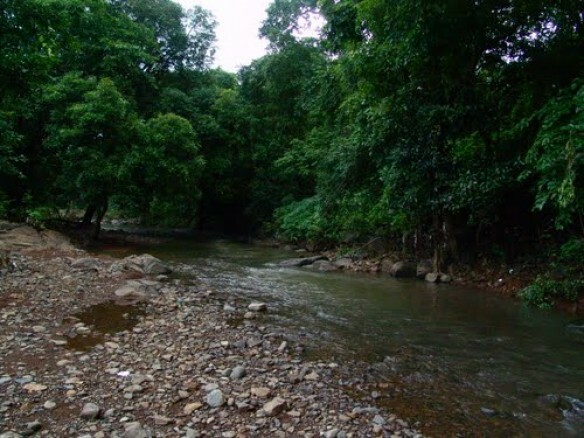 The area has been declared as Tungareshwar Forest Park since the year 2003 and the forest area is 85.70 square kilometre. There are several small and big waterfalls, while the biggest the big waterfall plunges from a height of 100 feet. 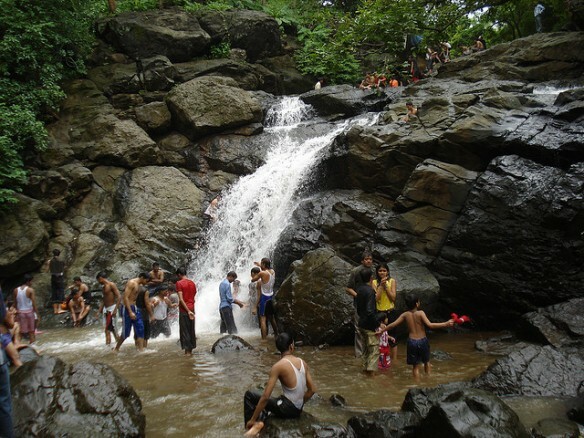 The place is a popular picnic spot amongst Mumbaikars and remains crowded during Saturdays and Sundays. 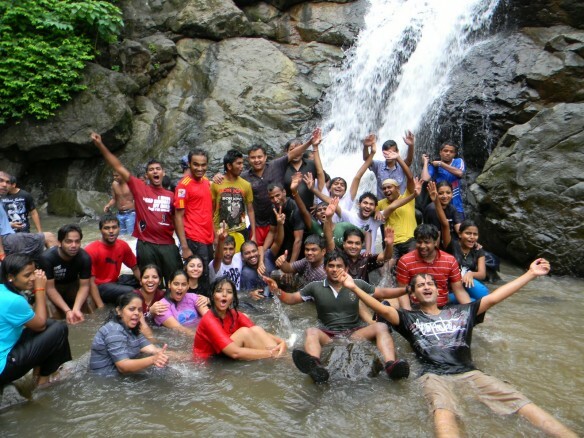 It is a good place to do some basic trekking, as the place is scenic, and has a few small treks around and to the the waterfalls. One can also check out some of the nearby attractions like Tungareshwar village, which is the highest plateau of this area and Kamandurg Peak. 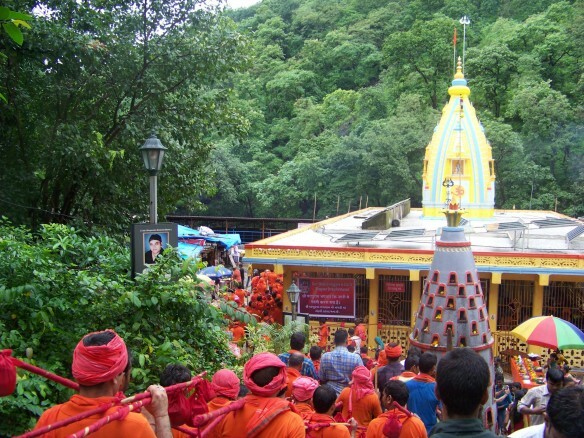 Tungareshwar also has a temple of Lord Shiva that one can pay obeisance at. 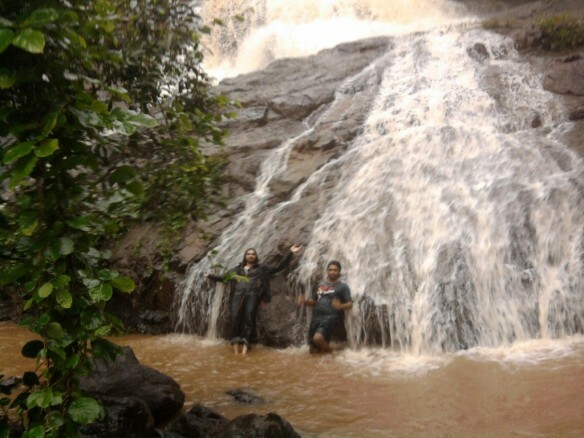 Height of the waterfall: 100 feet (30 meters). 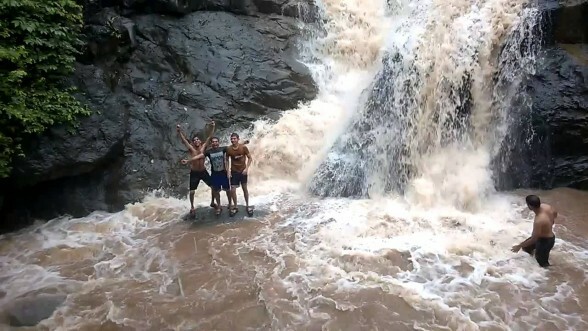 Best time to visit: During monsoon season from June to September. & Post monsoon uptill Feburary. Visit Duration: 3 - 4 hours. 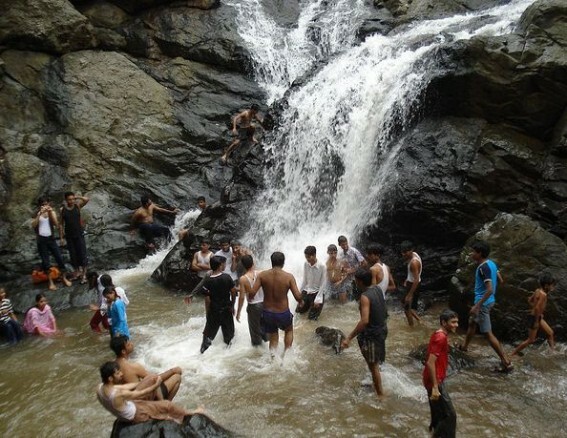 Tungareshwar waterfalls is about 60 km from Mumbai in Thane District, starting at National Highway 8 and takes about 1 hour and 40 minutes to reach. Exact location : 3 km from Vasai-Phata Highway (Sativali Village), starting at an entrance on left side towards Mumbai on National Highway 8 (Mumbai-Ahmedabad Highway). Here there is no bus facilitity, but shared and private auto’s from Vasai Railway Station (East side) frequently available. Private cars can be taken till a point you feel safe and then walking and enjoying the trek is much preferred. Vasai Station is on Western Railway Line, and is about an hour from Andheri Station. If coming from Mumbai, Navi Mumbai, Thane area go straight towards Vasai Virar on NH8 and reach near Vasai Phata, Sativali Village. By Auto From Vasai : Their is no meter system here and share and private auto’s takes you to the main entrance. From this entrance point the trek to the falls. Buses to Tungareshwar : No Bus Facilities available. 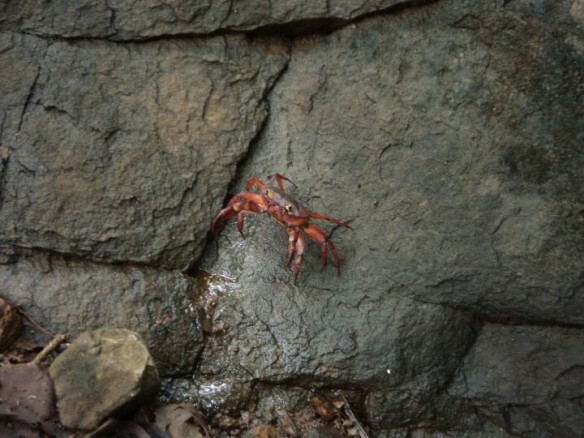 - Explore the Tungareshwar Forest Park. - Spend time amidst nature. - Photography ( Nature and Wildlife). - Visit the beautiful temple of Lord Shiva. - Enjoy a picnic with friends and family. - Since this area has been declared as Tungareshwar Forest Park from 24th October 2003. Hence, Law and Forest act 1972 applicable so please don’t harm any animals or living creature in the area. 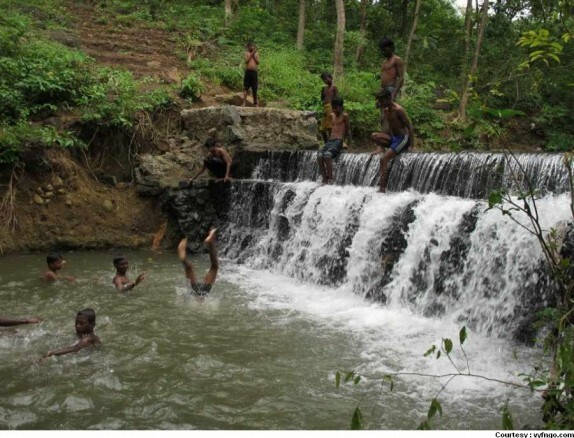 - Explore this jungle and its waterfalls during day time before dark, the ideal timings is between 07:00 a.m. and 05:00 p.m, after which wild animals take over, there are no street lights or lamp posts and its absolute dark. 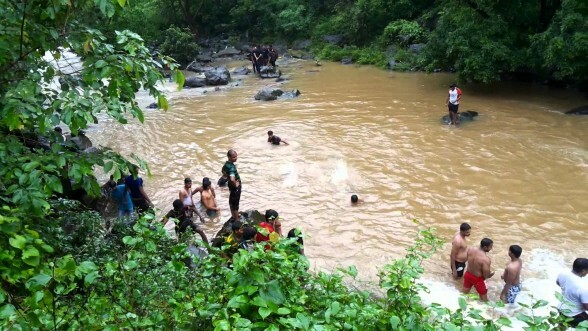 - Make sure you take safety precautions since flash floods are common during rainy season. Carry a first-aid box with basic medicines. - This place is frequented by pilgrims and at times can be crowded so it is preferable to avoid during festival times. - Tungareshwar, which is the highest plateau of this area. - A Temple of Lord Shiva. It is highly recommended to carry enough food and drinking water to spend a day or a night. There are some small restaurants near Tungareshwar temple which sell snacks and cold drinks. There are also some stalls at the entry point and on the way to the falls where you can enjoy hot cutting tea , bhajiyas, yummy green raw mangoes, Sweet corn, tamarind and cucumber with chilli and salt. It is highly recommended to carry enough food and drinking water to spend a day or a night (If planned). 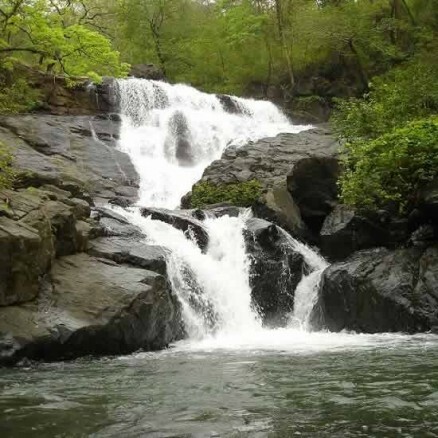 Tungareshwar or Chinchoti waterfalls lies in a dense forest and has its own wildlife, hence camping here is not safe. But tourist who would like to spend a night can take shelter at the temple of Lord Shiva. Temple authorities have arrangements of around 7 to 8 simple rooms near temple area for overnight stay. Charges for same are nominal room for 1 days & night (24 Hours). Cooking facilities are also available and utensils for same are chargeable which can be used by you for cooking at separate kitchen area outside the rooms. While visiting Umbrella Waterfalls please do not litter and help keep the nature and surroundings clean by carrying back your thrash and disposing it in a decent manner.